Этот мод содержит 8 костюмов для женских персонажей из плотной ткани и кожи, а также 5 пар обуви. Комплекты относятся к классу легкой брони. 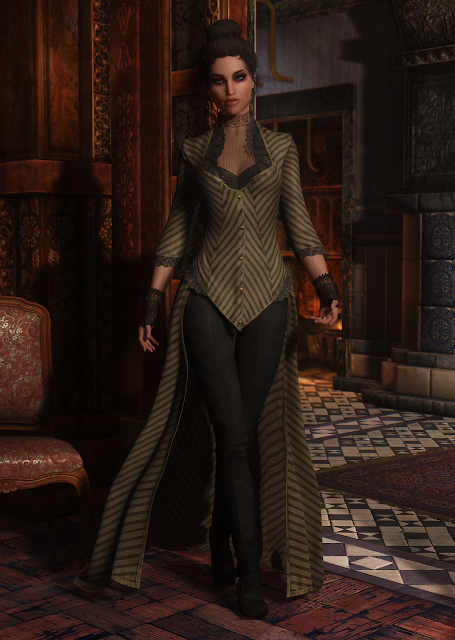 This mod contains 8 suits for female characters from dense fabric and leather, as well as 5 pairs of shoes. Еhings belong to the class of light armor. В комплект входит обувь с каблуками, поэтому в любом случае для работы моды нужна система каблуков HDT HighHeels. Все вещи можно выковать в кузнице (эльфийский раздел). All things can be made in the smithy (elven section). Bethesda Softworks за Skyrim, спасибо автору Outoftouch за оригинальные модели, использованные при разработке этого мода. Спасибо Raven за красивые текстуры и активное участие, спасибо Полине и Диме за помощь в тестировании, спасибо за поддержку и позитивный настрой многих пользователей и участников игрового сообщества. Bethesda Softworks for Skyrim, thanks to the author of Outoftouch for the original models used in the development of this mod. 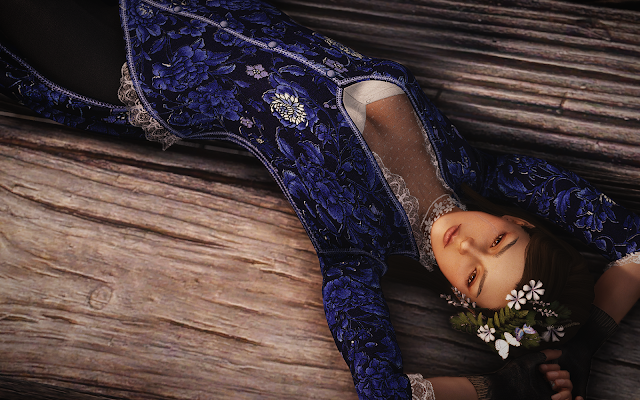 Thanks Raven for the beautiful textures and active participation, thanks for the support and positive attitude of many users and members of the gaming community. Ask me if you want to use my mods as a resource for your work. Would it be alright with you if I attempted a UUNP conversion of this? It would not be a standalone and link to this post.Thank you! I want to apologize for so long to answer. I rarely go to the network, in short, I'm sorry for the long answer (and sorry for my bad english). Ok, sure, i give my permission. outfit (Oz the Great and Powerful) and also Scarlet Witch (MARVEL). А венок входит в мод? superb work, Karter. I love your work. So much quality. I really loved the outfit ever since you released it, but the new textures are even more gorgeous and amazing <3 Small question tho - where are the gloves from you used in some of the screens (the metal ones and the lace ones)? Full credit would be given to you and a link to your blog page provided in the description. Amazing dress, Karter! May I translate this into Chinese and share it on 3dmgame(the most famous Chinese skyrim gamer community that you might hear about it before)? Thanks, Sins! Sure, I don't mind. I'm became a fan your clothes mod. Very high quality and so cool ! I'm planning on uploading a original NPC MOD's to my blog. 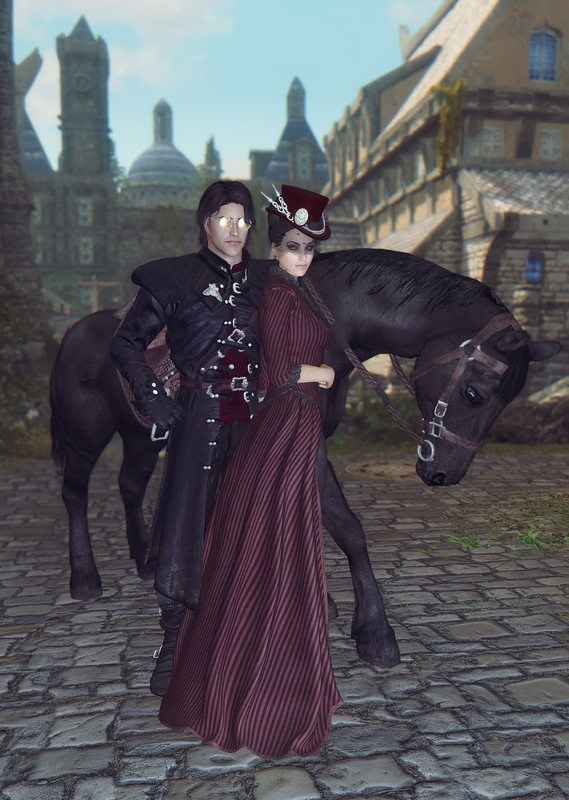 I was wondering if I could use your mod of "Royal Hunting UNP 2.0 to NPC outfit. Sure, I don't mind. I give my permission. Thank you! Thank you very much～! Доброго времени суток! Мод просто шикарен!) Мне очень нравится!) Великолепная работа!) Хочу спросить - а от куда вы взяли лошадь с предпоследнего скриншота? А то персонаж вся из себя такая красивая, а достойного коня нет. HDT not Working :( ! !